Price is the combination of location, size, features and condition. Price is best determined by a professional market analysis which compares a home to recent sales. Successful Client Representation is a Result of Communication, Cooperation & Trust. Who is Real Estate Brokers? It's not any one broker, but a select group of brokers with unique skills, experience and insight. Need some tips on painting your house? Ever thought about rental properties as an investment? 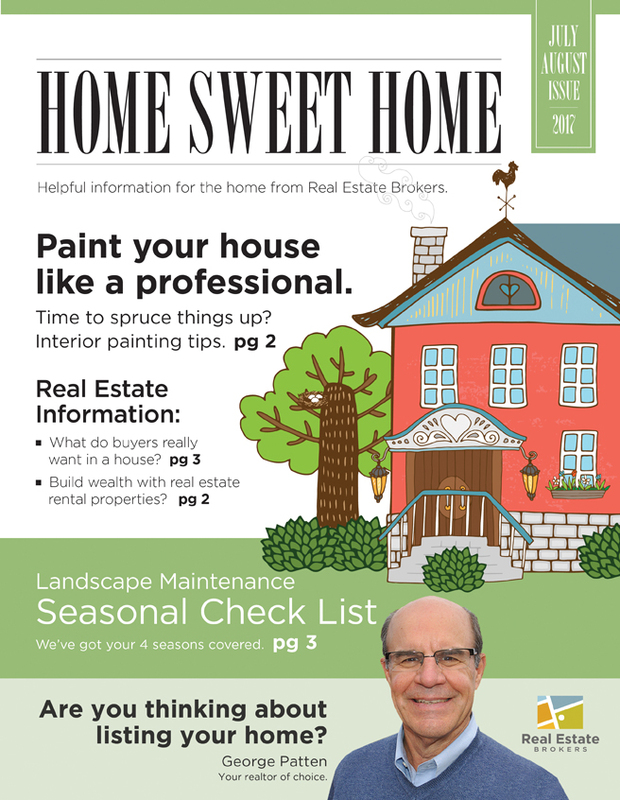 Home Sweet Home is a newsletter that provides simple tips about home ownership and home life. We hope that you'll find the information useful. “These developments are more than simply mixed-use,” said Danielle Leach, a senior consultant at John Burns Real Estate Consulting in Chicago, who as a single mom lives in such a community in St. Charles, Ill., with two teen boys. “Surban living is becoming a new way of life for many: where the blend of urban and suburban living provides the best of both worlds,” she said. With surban living, it’s possible to walk to work, like in a city, as well as enjoying pedestrian access to groceries, entertainment and youth- and sport-friendly parks — plus reliably strong public schools. Surban neighborhoods are designed to be inclusive, rather than exclusive, said Bill Endsley, of the International Real Estate Federation, a Washington, D.C.–based international real-estate consulting group, making them affordable to teachers, firefighters, police and janitors. “The more we go down the road of exclusive development, the more problems we have,” including traffic congestion, air pollution and sprawl, Endsley said. He cited a rundown mall site in San Jose, Calif., which was turned into “Santana Row,” a booming destination in the high-priced Silicon Valley, that includes affordable housing.